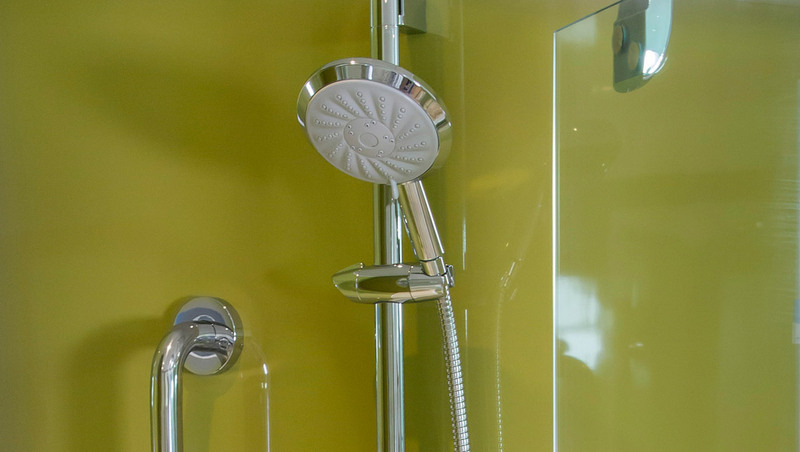 This pentagon shower compartment fits neatly into the corner of your bathroom. 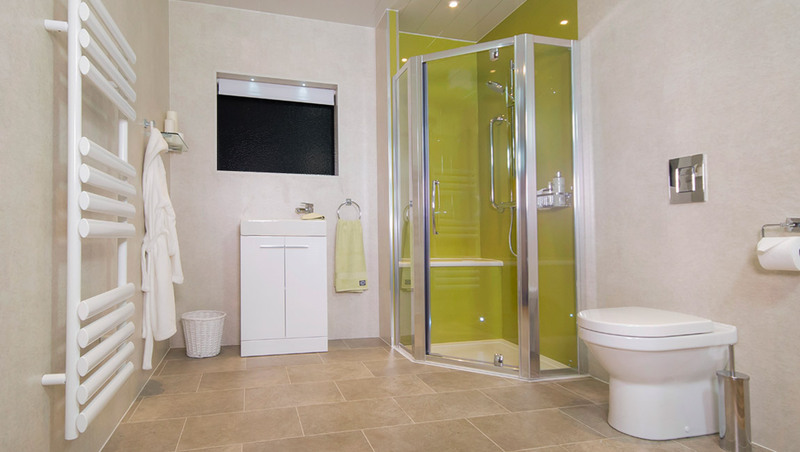 The unique design optimises the amount of space and accessibility that is provided by a corner shower enclosure. The Prestige compartment can be installed with the unique and popular Wisco Bench Seat that is built into the unit, or alternatively the neat fold-up seat. 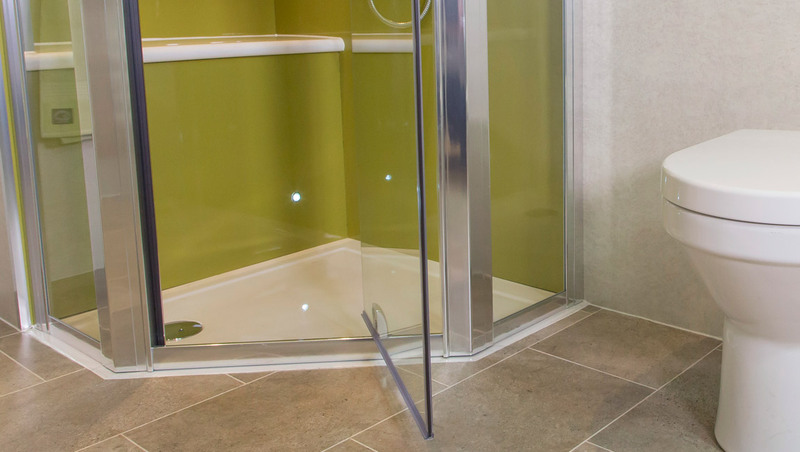 This shower cubicle includes the benefits of an anti-slip shower tray, toughed glass and optional grab rails for maximum safety and peace of mind. 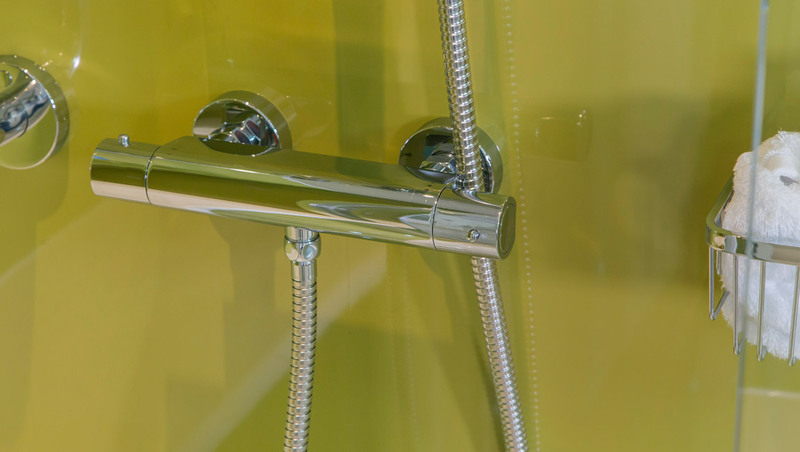 This shower compartment’s unique design will compliment any bathroom and combines elegance and safety with ease of use.